The E-Zip e-cigarette looks like a classic Zippo lighter and is handy for getting my nostalgia on. While I don’t miss most things about smoking like the smell, the coughing and so forth, I do miss the accessories. I felt naked without a lighter in my pocket for the longest time. Thanks to the new e-Zip ecig, I can relive the glory days of my misspent youth. I suppose I should review the EZip and not just waxing nostalgic the whole post. It looks like a Zippo lighter. Thanks for reading, have a good day! Ok, so maybe a little more detail is warranted here. 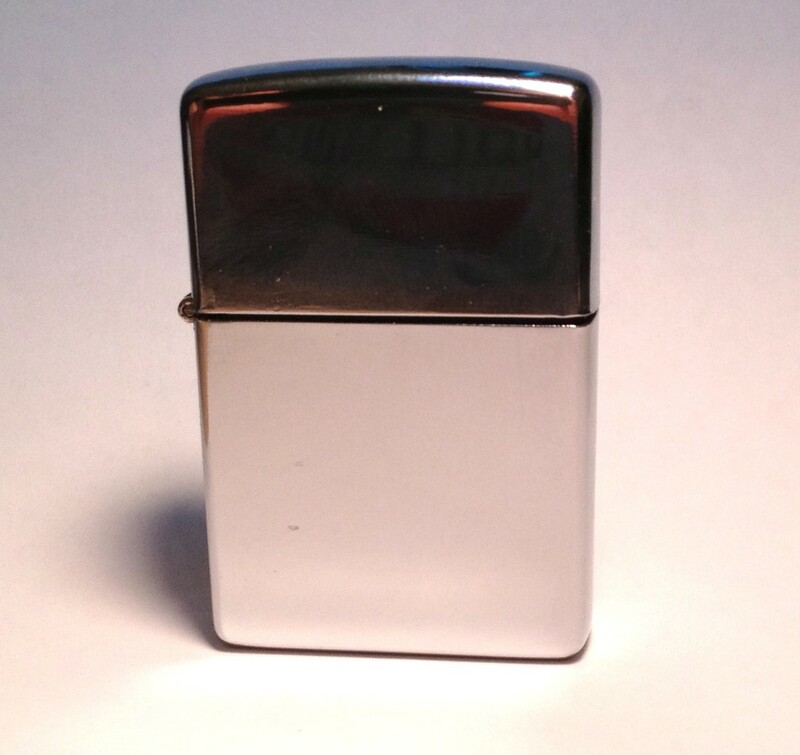 There are two primary parts to the E-Zip, the first is a Zippo lighter shell. The kit comes with a generic version, or you can use your own if you still have one from your smoking days. The actual e-cigarette part of this device is the insert that fits in the lighter’s shell. It is essentially a KR808D-1 automatic battery shaped to fit inside the lighter in place of the mechanics that normally live inside the lighter. The insert also features the spring latch for the lighter’s lid, just like the original lighter inserts. 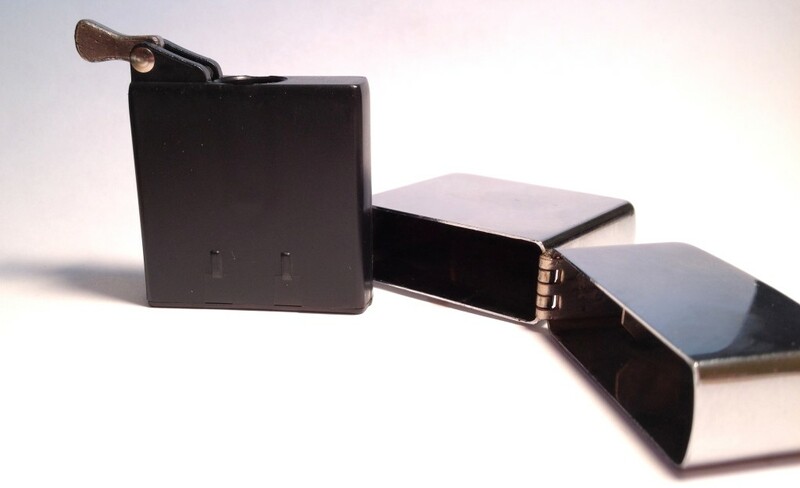 Instead of the battery connector sitting at one end of the battery like a traditional electronic cigarette, it is recessed about midway inside the battery. This configuration shortens the length of the cartomizer so the lighter’s lid can close with the cartomizer attached. There is one drawback to the design: You’re basically going to have to stick to standard-sized e-cigarette cartomizers, nothing fancy here. I’m not bothered by that as much as I originally thought because I’ve come to terms that this is not what I’d consider an everyday device. I’ll go more into that in the next section. Essentially, that’s all there is to the E-Zip. There’s no lights or fancy pass-through charging, this is a very basic device designed to give you something to do with your old lighter. Incidentally, if you do have a beloved Zippo, you can buy just the insert part of the kit for $15. Like the device itself, the included cartos are pretty nondescript. They’re only available in tobacco or menthol at 24mg/ml. To be honest, I don’t like generic tobacco and 24mg is too high for me, so I just pitched the cartos. I’m running Smokeless Image cartos for this review, so I’ll not get into the included cartos beyond this paragraph. The last bit of the kit is actually somewhat interesting. As you might imagine, with a mid-body battery connector, a standard KR808 charger isn’t going to work here. 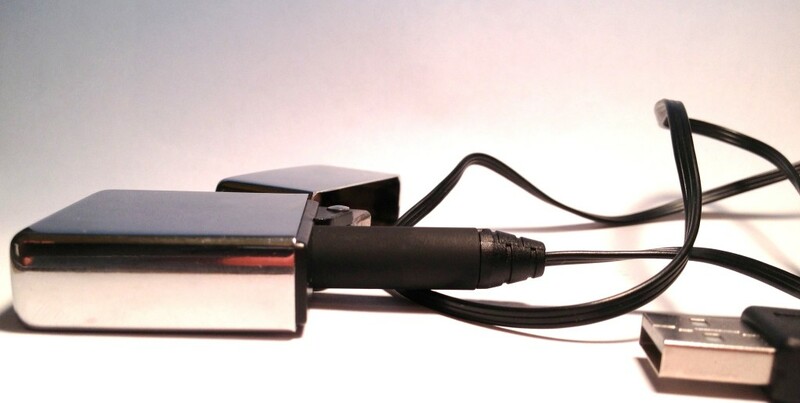 Instead, the kit includes a charger that sort of looks like one of those USB pass-through e-cigarettes. Oddly enough, it is a pass through as well. If you happen to have the right adapter or cartomizers, you can use the charger as a pass-through auto battery. Of course with it being the charger, the threads are the opposite of an 808 battery. I’m actually not sure what thread pattern that makes this, but I didn’t have an adapter to try it out. Still an interesting bonus feature if you have the right accessories laying about. I talked about this thing being a situational device, so I’ll jump into that part first. For me, the E-Zip is a great stealth device. It’s small, easily held in hand and has no lights. Not only that but you can leave it lying around and it looks like your every day lighter. Old habits die hard, and I’ve found I really like just keeping the device on my night stand where my lighter used to live. It’s actually pretty handy having something to vape right there without having to think about carting up my ZMAX or something. I don’t really hang around in smoking areas much these days. If I did, I think it might be a fun prank to hand this thing to someone who asks for a light. That being said, it’s just plain weird sticking the end of a lighter in your mouth and puffing. My brain can’t quite get over its memories of lighters. There’s just a mental disconnect there that sort of throws me off. The other problem is that the lighter lid kind of gets in the way. It sort of just hangs off to the side of your mouth while vaping. Half the time I end up just pulling the insert out and using it without the lighter shell. From a performance standpoint, I found the E-Zip to be about on par with a decent 808 automatic battery. Since I tend to favor 808’s when it comes to basic e-cigarettes, that’s certainly not a bad thing. Decent vapor can be had, and battery life isn’t too shabby. Although it’s a little hard to tell since I only use it every once in a while, but it has gone over a week between charges, so that’s worth something. Nobody really needs something like this device, but it’s kind of fun to have around. If you have a beloved Zippo lighter with nothing to do these days, this might be a good way to repurpose it. 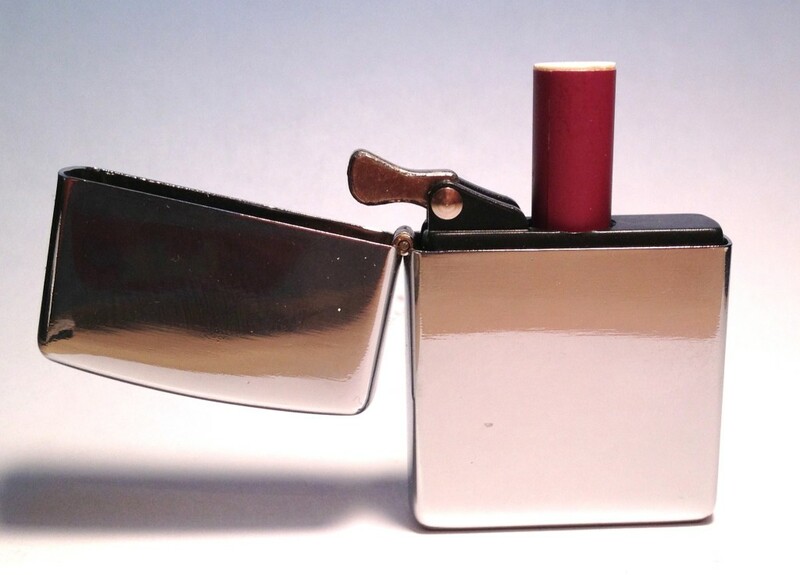 The E-Zip is a traditional KR808 automatic battery shoved into the shape of a Zippo lighter insert. It works fairly well and is a competent stealth device that looks nothing like an ecig when closed. Not everyone might need one of these, but it is fun to have if you used to be a fan of this style of lighter when you smoked. You can grab one over at Nhaler.com. NEXT POST Next post: E Cigarette and Passive Vaping: How harmful Is It? I actually sent an idea to zippo to make a zippo lighter based juice tank. I think it would be a great extension of their product line. Who wouldn't love flipping the top of a zippo to drip in their RBA? Never heard back from them. You would think they would be looking for a way to participate in the e-cig world. Someone with contacts should make it happen. Steve, wouldn’t a 901/808 adapter work to use the charger as a pass-through? Yeah, I think that it would, I didn’t have one handy to test it out unfortunately.